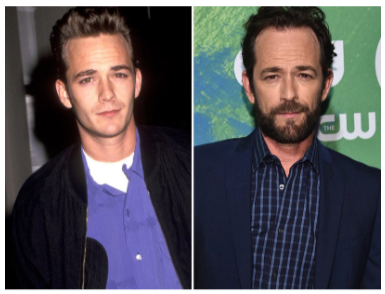 Luke Perry was an American actor who was known for acting in Riverdale, Beverly Hills 90210, Buffy the vampire slayer, Jeremiah, and many more amazing shows and movies. He sadly passed on March 4th, 2019 from an unexpected stroke. His most recent TV show that he was working on before he passed, was a very popular show called Riverdale. He played the role Fred Andrews as the father of Archie, one of the main characters. He got even more known after playing this role, and this devastated many fans of him when he passed. He was at Saint Joseph Medical Center Burbank, Burbank, CA when he died. He was surrounded by his children, Jack and Sophie, fiance; Wendy Madison Bauer, ex-wife; Minnie Sharp; mother; Ane Bennet, step-father; Steve Bennet, brother; Tom Perry, sister; Amy Coder, and many other close family and friends. Everyone in the acting world, as well as everyone else, was very devastated to hear what had happened. Luke was one of the best and most iconic actors of all time, he will forever be missed by many. What Is Socialism? Why Is It So Bad?